I traveled a bit this summer. All different places, some exotic and some ordinary. I always have a bit of anxiety before I travel, because you truly can’t plan for everything. You can Google Earth your location and make plans, but really there is such an element of uncertainty to it all. One of the greatest joys of travel I have experienced (in fact, embraced this summer) are the people you may meet. I think being a stranger in a new place sets the stage for meeting the most interesting people; and everyone has a story to tell. For example, while in Hawaii this summer, my friends and I were traversing the northern coast of the Big Island in route to the Tropical Botanical Garden near Hilo. We decided to take a side road to the Tidal Wave Memorial near Laupanoehoe. As we turned down the narrow road, I noticed a modest home on the right. The front yard was lined with the most beautiful varieties of hibiscus I had ever seen. I asked the girls if they would mind pulling over so I could maybe snap a photo of some of the blooms. Decisions like this always carry some risk. I could after all, be unwanted company in this Hawaiian’s front yard. And that’s when I got an unexpected bonus to the beauty of the garden before me. The home’s front door slowly opened and a small Hawaiian woman popped her head out and looked at me. Oh I’m in trouble, I thought, trespassing and all, and then I noticed a huge smile on her face. “Do you want to get closer?” she said, motioning me to enter her garden. I was delighted to oblige. What followed was a delightful exchange about her garden, her life in this small valley, and her grandson who lived in Arizona. She herself had never left the island, which is not unusual in this neck of the world. She told me that the plants in her garden were the big splurges in her life, and that her husband was kind enough to indulge her. She invited me into her home and showed me her painted sea turtle shell collection, which would be frowned on today, but was part of her Hawaiian heritage. The shells contained painted depictions of her family’s history, much like totem poles from the Northwest coast. 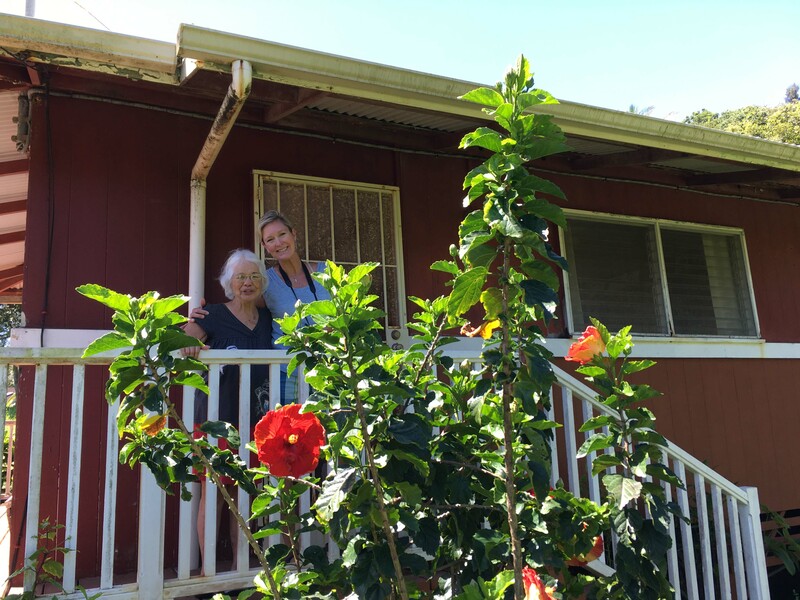 I don’t know if I will even see my little Hawaiian gardening friend again, but I will never forget her, and she is now part of my travel memory. Later in the summer, I found myself on the central coast of California, traveling with my husband Randy on his business trip. I was able to fill my time however I wanted, and this became another travel blessing. One day my birth dad, Ron, picked me up at my hotel to spend the day with me. He drove us to Guadalupe Dunes Park, which is an extremely beautiful uncrowded stretch of beach on the Pacific Ocean. I later learned that the original Ten Commandments movie was filmed here. There were only a few cars in the parking lot. One was an old Chevy truck, originally teal blue, now adorned with a perfect patina of coastal rust. Because the sand shifts so much in this area, the truck, surrounded by sand, looked as if the wind had just revealed an old artifact from days gone by. Ron joined me for a walk on the beach, but later decided to turn back and wait for me in the lot. After I enjoyed the wild stretch of coastline, I made my way back to join him. I looked up and noticed Ron was standing near the pretty pickup, talking with another older gentleman. I giggled as I approached the truck, because Ron learned long ago the sweet gifts of meeting strangers. I joined the conversation and learned that we were talking to the owner of the truck, Frank. He grew up in nearby Santa Maria, and had bought his truck brand new. I told him I had always dreamed of having a truck like his. He said he offered to give it to a granddaughter, but she wanted a brand-new Jeep Rubicon. (kids these days, sheesh!) Ron told Frank I was an artist and so we chit-chatted about the fact that I was hoping to find some inspiration on my trip so I could “write the trip off” and I laughed. “Good girl!” Frank said. Turns out Frank was a retired IRS agent and knew the tax law well. As we talked about his life in government work, I noticed he had lost his right hand and had a stainless-steel prosthetic. Frank said he came here most days to fish in the wild surf. 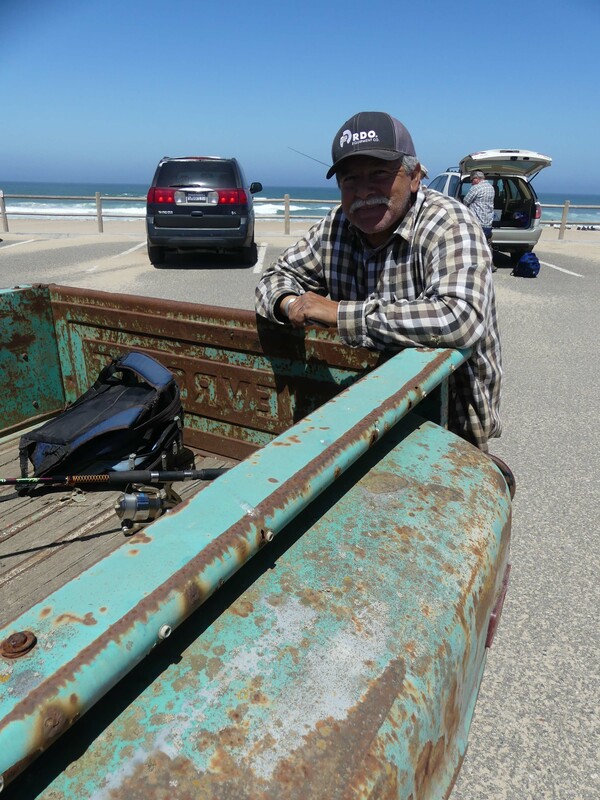 Today there was no catch, but he and Ron talked about the old days when you could drive your truck down the beach and up the dunes before it was all blocked off to protect birds. Which reminds me another story. Later in the summer Randy and I traveled to Montana, which, I have to say, is one of my new all-time favorite “best last places.” Mountains, rivers, lakes, little towns, so much to explore! We spent a lot of time in Glacier National Park. Each day, we would enter the park and chart a course that included some driving and a hike. While hiking, I noticed another travel phenomenon. This observation was less about meeting people in their hometowns and more about the special things that happen when strangers unite over common interests. We took several remote hikes (with our bear spray) where we saw no one, but serval hikes were well populated, including the hike to Hidden Lake at Logan Pass. As we ascended the trail, we passed serval hikers coming down. We were the new kids. They had just seen all were about to see. A woman I passed stopped for a moment and said “There’s a mountain goat around the corner, keep your eyes open!” I thanked her, grateful she had brought the goat to my attention because I really wanted to see one. A little bit further up the trail, a man stood quietly with a fixed gaze. His posture indicated he was observing something and perhaps he wanted to share his observations with others. 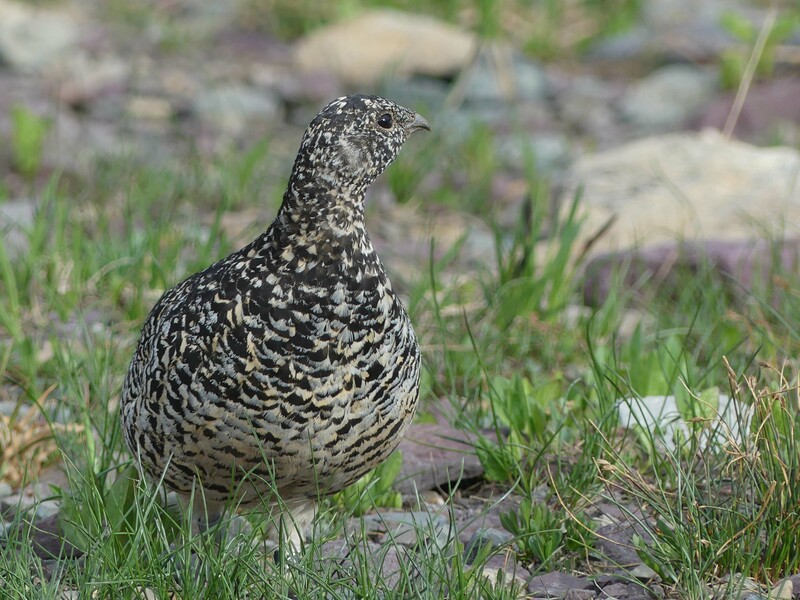 So, we approached quietly and whispered “Whatcha looking at?” He pointed about three feet ahead of him where a ptarmigan and her chicks were wandering around among the rocks. Randy and I had never seen this type of bird before, and so we stood there talking with the stranger about its traits and deciding that it most definitely could be endangered because it had no fear of people. This was verified when, as our little bird watching crowd grew, a five-year-old boy came running up and yelled “Duckie!” while lunging at the birds. His mother grabbed him in the nick of time, but the ptarmigan did not even flinch. And so, the pattern repeated on the Hidden Lake trail; tourists pausing to look at wondrous sights, and wanting to share the experience with others. And we played along. Randy and I spotted a group of bighorn sheep on the moraine above, and stopped to take a closer look through our binoculars. A group of teen boys frolicked by and stopped to stare at the hill. The sheep were camouflaged among the rocks, and were hard to see. So, I handed one kid my binoculars and told him to look at two o’clock. When his gaze finally fixed on the wildlife, he gasped, “Cool!” That brought me joy. That united us. I have to say, when you see something wonderful, it feels right to share it. I wondered if this kid would appreciate an old rusted Ford truck, or a blooming hibiscus? The interaction with the people I experienced and embraced this summer was limited, I realize. 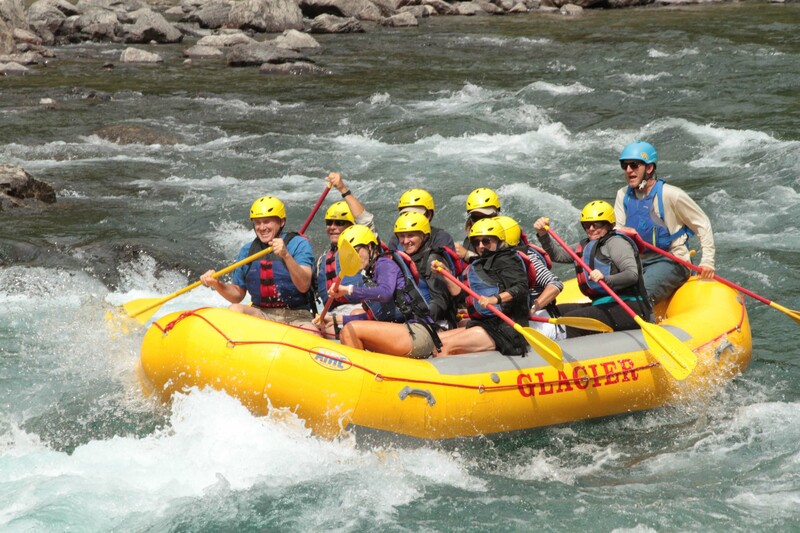 You cannot sum up a person in five minutes on a trail, or while river rafting, or while hugging a bride on a summit in Montana. But these windows of opportunity are precious. These moments are summaries of a person’s past, and perhaps their futures. Their essence, really. They are telling if you listen, and take the time. In a moment you can ascertain what is important to a stranger, and what about them they feel is important enough for you to know. And it starts with being open, and paying attention. I mentioned a bride in that last paragraph. I don’t have a photo of that. But she does. Near the end of our last adventure in Montana, after a glorious day and driving through a thunderstorm, the clouds finally parted on the summit. We pulled off the main road briefly to breathe the clean air and look at the valley below. Up came another car. The door opened and a photographer jumped out, followed by a bride in a simple dress and her groom. They were taking advantage of the heavenly conditions as a backdrop for a portrait on the most important day of their lives. I teared up. Standing there with my husband of thirty-three years, I flashed back, and forward, and sideways. Just pondering perhaps all the life that would be ahead for this couple, good and bad. “Yes!” the bride said, with a glowing smile. “Congratulations!”, I said. “Can I hug you?” I know, bold perhaps, but I was caught up in the moment. She obliged and I shared with her that we had been married thirty-three years and we wished them a very happy life together. As I walked back to our car, I could smell the bride’s perfume on my hiking clothes. Something of her had transferred to me. It lingered for a while as we drove down the mountain. That couple must have really liked Glacier National Park enough to make it part of their wedding day. We sure liked the park too. It’s a special place. In a special world. With wonderful, special people. Pay attention. You never know who you might meet.